Tired of just making ends meet? Want to get paid what you're worth finally? Hate the long drive to work? Work from home. No experience necessary. No expensive seminars. Train at home. Feel proud of your career. Be the envy of your friends. Gain respect from your family and relatives. EVER WONDER HOW BUSINESSES GET THEIR ART? Start a new career as a prestigious corporate art consultant. Create beautiful offices for businesses with custom framed art and installation services. No art degree needed. No experience needed. Train at home at your own pace. 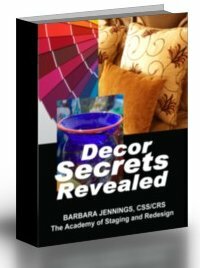 Barbara Jennings, a 20 year consultant, teaches you how to start your own home-based business. Choosing decorative floor tiles for your home can be a daunting task, made all the more serious by the sheer cost of it all. There are many different kids of floor tile, not to mention colors and styles. Here then is a very brief summary of the various types of tile you may run across. Floor tiles come in every conceivable form: soft, hard, cold, warm, light, heavy, difficult to lay, easy to lay. They also come in an assortment of sizes, colors, patterns and textures, and these vary widely. Please note that when using heavier, rigid tiles or slabs (such as quarry tiles or ceramic, marble, slate or terrazzo) that they are laid on a floor that can bear their weight. The floor must also be absolutely level. Floorboards should be covered with hardboard (masonite) or plywood. Concrete should be covered with cement or sand screed. A surveyor or engineer may have to be called to check if a floor can bear the load, particularly if the floor is upstairs or a hallway. Made from baked clay, ceramic tiles are very hard and strong. Popular colors are the natural shades of yellow through brown, but other colors are available as well. Textures vary from smooth and shiny to directory2@barbarajennings.comobbly; there are also patterned, hand-painted and unglazed varieties of tiles. ceramic tiles are heavy, cold, noisy and hard - an object dropped on them is more than likely to break. Lay the tiles on level floors such as screeded concrete or plywood-covered floorboards. Normally square or rectangular, quarry tiles come in a range of warm, natural shades. They are made from unrefined alumina clay high in silica (quartz). Because they are water- and grease- resistant, they make practical floors for kitchens and hallways, although they are hard, cold and noisy. Lay on screeded concrete. Bricks for indoor use (pabiors) are hard-wearing, water- and grease- resistant, and warmer than either ceramic or quarry tiles. They can be laid only on ground floors, in a mortar bed. They come in a range of colors, including not only the standard red, brown and yellow, but also blue, purple and green. they often look best in a rustic setting or when linking interior rooms to the garden - for example, as a hall or kitchen floor. The most practical way of using marble is to lay it in thin sheets or tiles, because marble slabs are very expensive and very difficult to work with. Tiles should be laid in cement on concrete or on a perfectly level strong wooden floor. Like other hard tiles, however, marble is cold, heavy and noisy. Suitable for ground floors only, slate slabs are very heavy, expensive, unwieldy, cold and noisy. They must be laid in cement on concrete as well. Despite all these disadvantages, slate is a very beautiful material, typically in shades of grey and with a rippled surface. It can be effectively combined with other materials - marble, wood, etc. - and is pretty much impervious and durable. Stone floors have a mellow, ageless quality that suits contemporary settings as well as period ones. A variety of types of natural stone can be used for flooring. These include granite, sandstone, York stone and limestone, either in slabs or, more economically, cast with cement. Some types will stain easily. Terrazzo consists of marble or granite chips wet in thin tiles or slabs with concrete or cement. Smooth, tough and elegantly flecked with color, terrazzo must be laid on screed. It can be expensive. Made of various materials, including marble, clay and glass silica, mosaic tiles are nowadays available with a peel-off backing to facilitate laying (which must be on smooth screeded floors). Made from pressed and baked natural cork, these tiles make a warm, comfortable, quiet and durable floor. Make sure you buy flooring-grade tiles. Lay them on a smooth floor, using adhesive. Cork must be properly sealed. These materials are available in tiles as well as sheet form. Because they are softer, cheaper, quieter and warmer than most hard tiles, they are a popular choice for utility areas such as kitchens and bathrooms. They are also extremely easy for the amateur to lay. Tired of getting to the mall or your favourite decorating store, only to discover you forgot your measurements at home? Ever try to pick out a new decor element without your swatches? Can't find your swatches any more? Selling your home, facing capital gains taxes and can't find half of your decorating receipts? Well, if you answered yes to any of these questions, then you need The Decorating Organizer. It's brand new! It's simple to use and you'll end all of your shopping, and decision-making frustrations for good. Never again will you have to search for old receipts to offset capital gains taxes or check a warranty date. Never again will you have to guess at measurements, colors, or have to remember every nook and cranny in your home by heart. The Decorating Organizer eliminates all your frustrations and worries by keeping everything organized and in one place. For more information, click on this link: The Decorating Organizer.